For Tim, it wouldn't be smart to fall for Alice. For Alice, nothing could be scarier than falling for Tim. But Tim has never been known for making the smart choice, and Alice is starting to wonder if "smart" is always right. Soon they find themselves moving closer to each other-until the consequences of Tim's wild past come back to haunt him. With all Alice has to balance in her own world, is she sure she can handle Tim's too? - excerpt from book. 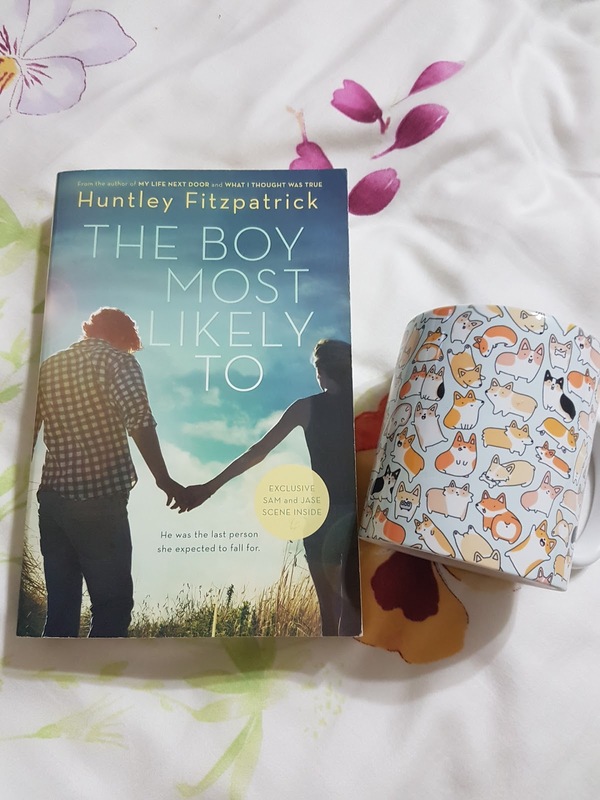 The Boy Most Likely To by Huntley Fitzpatrick is sort of the continuation from My Life Next Door but focusing on different characters. Samantha is no longer the main character instead it's about Jase's sister and his best friend. I would say that at first I was not interested as Sam and Jase are my favourite characters but this book was surprising. This is a great example of when life gives you lemons, what do you do with it? Life happens and these teenagers tackled it pretty well I must say. I like how the chapters alternate between point of view of Tim and Alice which gives you more of an insight of how to perceive and judge each other. I love how messed up Tim is but eventually there is so much growth from him. His interactions with different individuals is just attention grabbing where you want lots of things to happen. Alice is a complicated character with many conflicted decisions to make. I like how her family is influential yet not all the time. Alice's personality is one to capture your attention as well and seeing how she reacts to surprising news is just wonderful. The best part is the family dynamics of the Garrett's just like the previous part and how Tim fit into it is just perfect. The plot is as smooth as it can gets, the story continues slightly where we're left off from Sam's story. You get Sam and Jase here and there which adds to the build up. I could not predict much of the plot and was caught by surprise with the plot twist. The ending was quite a bitter sweet one but nevertheless a well written one. I guess I love how I can come to enjoy those characters slowly and feeling a little bit emotional for their troubles and tribulations. This is a good book to follow up with the family and I love how this isn't an instant love story. The author did a great job with the characters, so if you're the type who prefers good characters then this is for you. If you've not read My life next door, please do as it'll make this book more enjoyable. 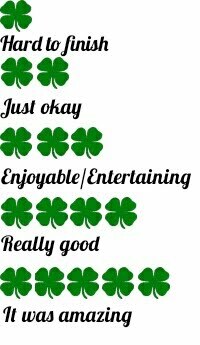 Here is my review.